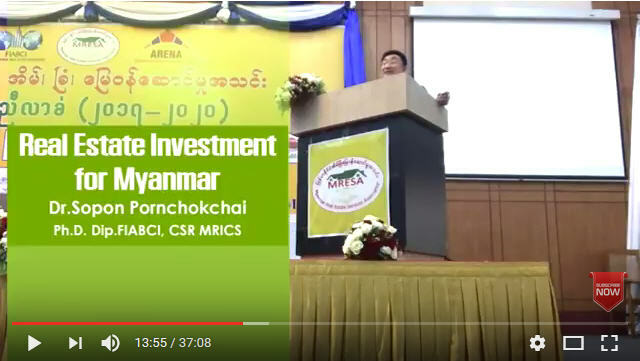 On Monday, March 27, 2017, Dr.Sopon Pornchokchai, President, Agency for Real Estate Affairs (www.area.co.th) was invited to speak on real estate investment for Myanmar. 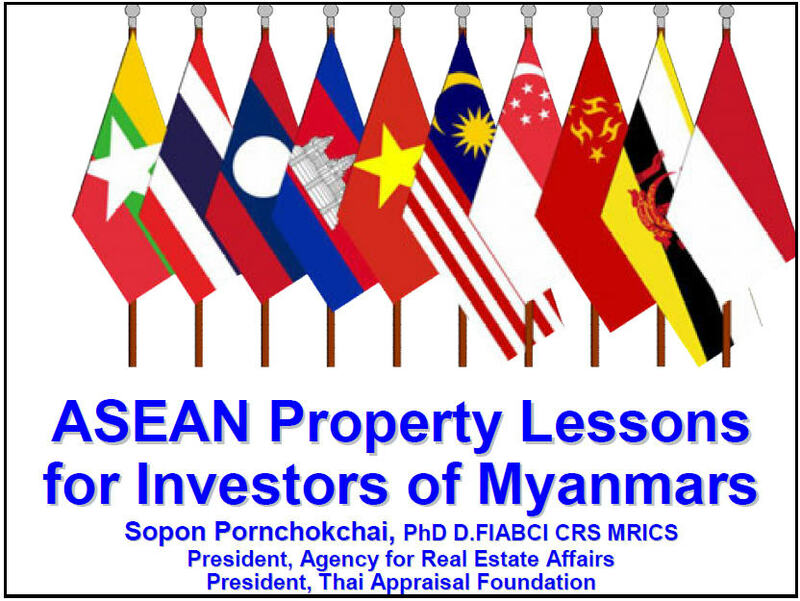 He was invited by the Myanmar Real Estate Services Association (MRESA) and was held at the Union of Myanmar Federation of Chambers of Commerce and Industry (UMFCCI) in Yangon, Myanmar. The following is his presentation which was recorded for education purposes.